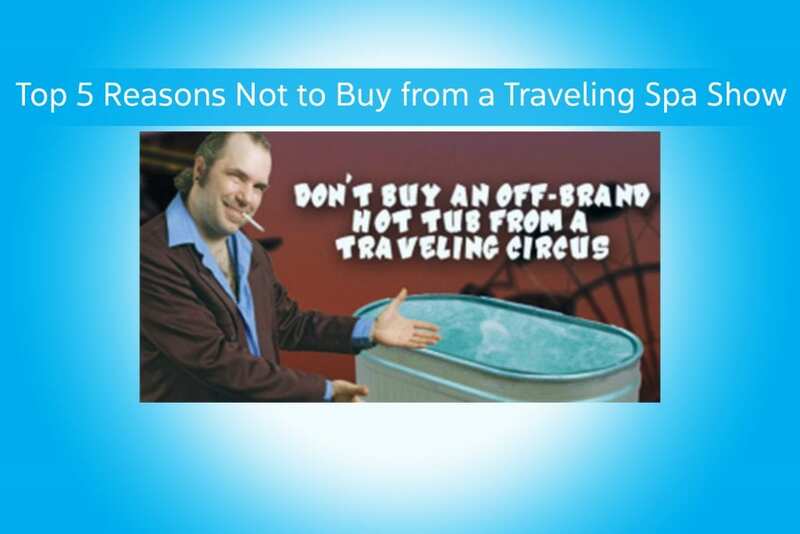 If you are shopping for a hot tub, you might want to consider the top 5 reasons not to buy from a traveling hot tub show. We are basing these reasons on comments we have heard directly from customers of a traveling spa show, who later came to us for service or water care products. Reason 1: Quality – Are the hot tubs high-quality? Have you read any reviews of the product? We recommend you do this when you are shopping for any hot tub, regardless of where you purchase it. The hot tub may look great at the show. It has a cover, cover lifter and steps. But when it gets to your house, it’s the spa only. And it was dropped off in your driveway. For this reason, if you do decide to buy from a traveling show, you must get everything in writing, even if it is promised to you verbally. If you expect to have your hot tub delivered to your backyard, make sure it is written in the contract. Otherwise, you will have a several hundred pound item to move before you can park your car. If the contract doesn’t explicitly state that you will receive a cover, cover lifter and steps, you aren’t getting them. The Spa and Sauna Company will always deliver to your backyard. Most of our spas include delivery, a cover, a cover lifter and steps. There are some exceptions about accessories, due to the style or size of the spa. However, if you do select one of the few spas that does not include certain accessories, you can rest assured that we will make that clear to you. Reason 3: Service – The salespeople at the show may allow you to believe that they have a local showroom and service department, while they actually are based far away. You will not be able to reach them for delivery questions, routine service or repair issues. At The Spa and Sauna Company, we have 3 showrooms in Reno and Sparks, and 2 in the Bay area of California. We service all of the region, including Lake Tahoe, Northern Nevada and the Northern California Mountain communities. 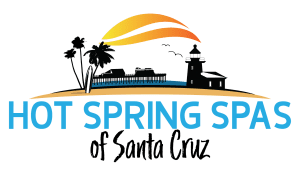 In California, we cover the South Bay, and areas around Santa Cruz and San Jose. We also have water care and service departments. We are open 7 days a week. If you happen to need assistance while our showrooms are closed, we can be reached by voicemail, email and web chat. Reason 4: Water Care – The salespeople may reassure you that the hot tubs they are selling are chemical free and you don’t need to add anything to them. That is simply not true. We, at The Spa and Sauna Company, know that all hot tubs require water care and routine maintenance. We have many different water care options available to suit your unique needs. We also send out instructional material via email to help you care for your hot tub. Reason 5: Reputation – Check their reputation. While salespeople at traveling events pitch their shows as a once in a lifetime opportunity, they visit several times a year, which makes much of what they say suspect. In comparison, here are some of the comments from our happy customers. 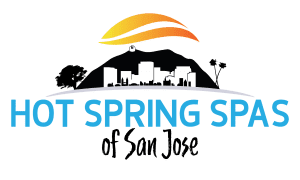 To read the Google Reviews from any of the 5 showrooms that are part of The Spa and Sauna Company (including The Spa and Billiards Shop, The Spa and Sauna Shop, Reno Hot Spring Spas and Billiards, Hot Spring Spas of Santa Cruz, and Hot Spring Spas of San Jose), click here. We hope you consider these reasons when you are shopping for a hot tub. We would be happy to help you in your search! Fill out this quick form to request more information!